Buying a car can be a difficult decision, especially if you are saving money by purchasing a used car. You want to make sure that your choice will be safe and reliable, but you also need to get the best deal possible. It can be hard to strike a balance between “good” and “affordable”, especially when looking at items that can quickly run up into the tens of thousands of dollars. One tool that many consumers use to help them compare used vehicles is a vehicle history report. These reports show data on any car that has a registered VIN number. They can tell consumers if the vehicle has ever been in an accident, how many times it’s been sold, if it’s ever been considered totaled or salvage material, and many other pieces of information. 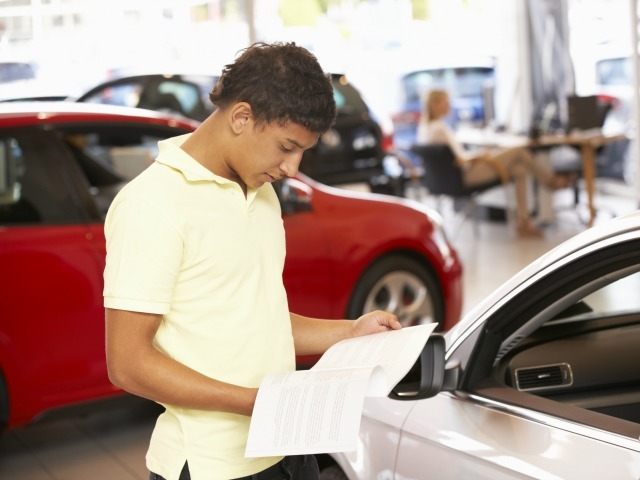 By combining a vehicle history report with an inspection from a third-party mechanic, and a good test drive, consumers are finding it much easier to make an informed decision about used cars. The first thing to consider when choosing which vehicle history reporting service is best for you is where they get their data from. While all vehicle history reports rely on government agencies like state departments of motor vehicles and the Office of Odometer Fraud Investigation, others go above and beyond to include dealerships, auction houses, service stations, and many other databases that are much closer to the actual vehicle than a government agency. It’s always a good idea to choose a vehicle history reporting service that relies on the data provided by those who have actually seen, worked on, and driven the car. Carfax is one of the most well-known services in this industry that utilizes as many sources as possible for vehicle histories. The next thing to consider is what kind of information the report will include. Services like Carfax and AutoCheck offer the most information of all, with long lists of history points that include not only title status and accident reports, but also things like lien information, or whether the vehicle has ever been used as a rental. Be sure that you are getting as much information as you need to make an informed decision. Many dealers offer a free Carfax or other vehicle history report when selling a used vehicle. In fact, most manufacturers offer a free vehicle history report with their certified pre-owned programs as well. It’s important to get your own report from a trusted source, rather than rely on the report given to you by a seller. In addition to the two big names in vehicle history, services like InstaVIN and VIN Audit offer consumers a way to double check information for more reasonable prices. These services make great back ups that can be used to verify that an official seller’s report is accurate. Another thing that is very important to remember is that the vehicle history report is only one tool in buying a used car. Consumers should never, ever skip the third-party inspection or the test drive when considering a used car. This is because vehicle history reports are limited by what their sources can gather. Not all car owners report small accidents, and not all mechanics keep detailed records on services performed on a vehicle. There is no vehicle history report that can guarantee 100% accuracy, and there are plenty of horror stories that prove that a vehicle history report can miss major problems. Be sure to have any vehicle you are considering checked out by a mechanic of your own choosing before you purchase, and use the information on the report as information only, not as a final decision maker.